There are many reasons why rocks and stone are used in landscaping designs. Not only do rocks add textural interest and color variety, they are a solution for drainage issues, they reduce overall maintenance, and they can also be used as mulch. The unique characteristics of each type of stone adds interest and an additional natural design element to an outdoor landscape. There are endless ways to incorporate stone or rock into your landscape, and the easiest way to get some ideas is to consult an experienced Atlanta, GA landscape designer to help you create a natural, unique outdoor retreat. Choosing rocks or stones for your landscape project is an important first step. Whether you are adding a retaining wall, accenting a garden, or creating walkways, the type of stone should enhance the area, not detract from it. Choose stones that are a natural extension of the current landscape. For example, the Atlanta area is located in the Piedmont geographical region of Georgia. Some of the rock found in the area’s natural landscape include: igneous granite, which is found in the area’s topography, as are migmatites, a combination of both igneous and metamorphic rocks featuring alternating light and dark layers; gneiss, another layered, coarse-grained rock, commonly found with lighter bands of quartz and feldspar; and amphibolites, also coarse-grained rock, with green, brown, or black amphibole minerals and feldspar. Implementing stones or rocks with similar types of graining and color creates a more natural setting. Landscape design experts usually have a rock and stone supplier in the area, where you will likely find stone and rock matching local geography. Consider the size of the space, and add rocks that are suitable to the size. · Large boulders add immediate appeal to the overall landscape. 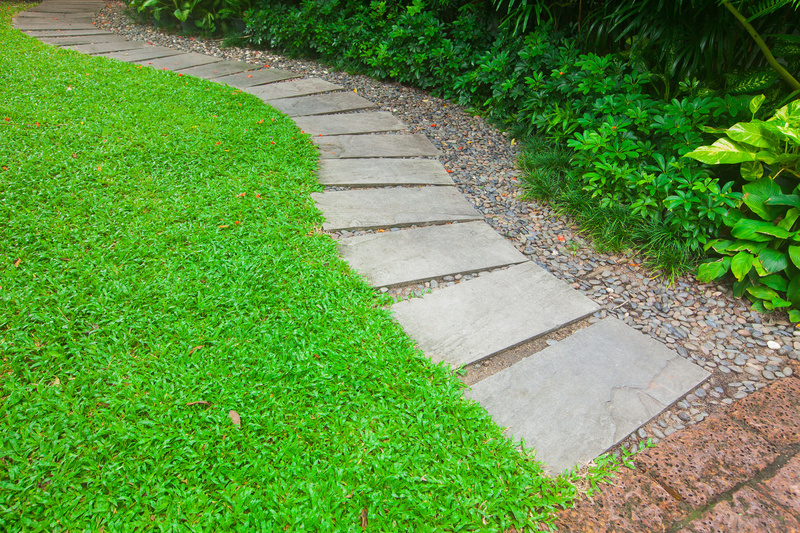 The most common error with landscaping is adding rocks that are too small. Although the delivery of large boulders may be costlier, it will pay off in the long run if the space supports that size. A too-small rock does little to enhance or make a statement in a large landscape’s design. If the larger size is not available, use several smaller rocks arranged in a way that creates an interesting focal point. · Pebbles and gravel are used for walkways, pathways, and in plant and flower beds, and is purchased by the yard or in bulk. They range in price from basic decomposed granite to the higher-priced elegant Mexican beach rocks, which are smooth and rounded, have a blackish-gray uniform color, and may not be easy to find in local areas. The shape of the rocks chosen for your landscape is also important. · Arch-shaped rocks are used to add stability and strength to different parts of a garden, and can be used to support structures like stone bridge corners or as an entrance to the yard or garden. · Tall vertical rocks are taller than they are wide, and often serve as the central point of a garden or yard landscape design. · Low vertical rocks are wider than they are tall, and are used as a support element for the tall vertical rock in a design. · A reclining stone is wider at the top, narrowing to a smaller end that is used to bring attention to another element in the garden or landscape. 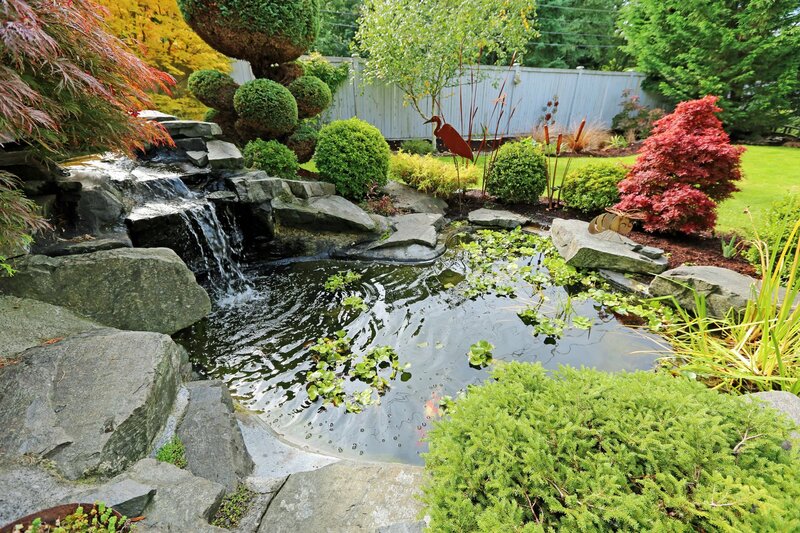 · Flat rocks have a smooth, flat top, and are often used in water landscapes. They are usually 12 inches or less in height. Before meeting with a local designer for stone landscaping in Atlanta, have some ideas in mind as to what elements you wish to see in the final design, such as a waterfall, a retaining wall, or a rock garden.